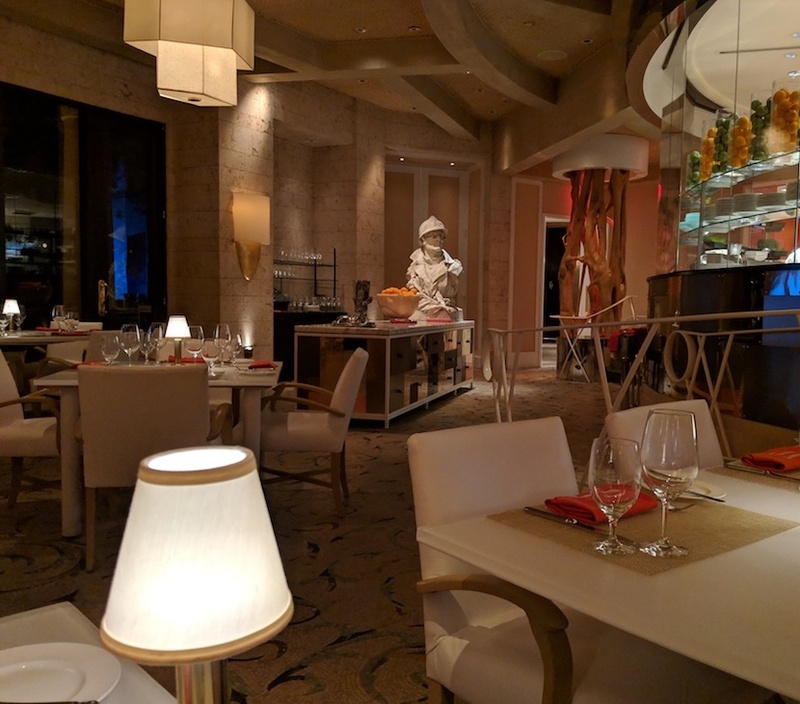 We dined at Lakeside Seafood at the Wynn on the first night of our trip (December 9, 2018). We had originally reserved a table for 9:30pm. However, travel and check in had gone so smoothly, and we were ready to get things rolling. It was not a problem whatsoever to change our reservation to 8:30 owing to the rather slow time of year. So…a pleasant stroll through the casino and a trip down the hotel’s unique winding escalator at the edge of the lobby brought us to the lovely, comfortable Lakeside Seafood restaurant with its wall of windows overlooking the Lake of Dreams. 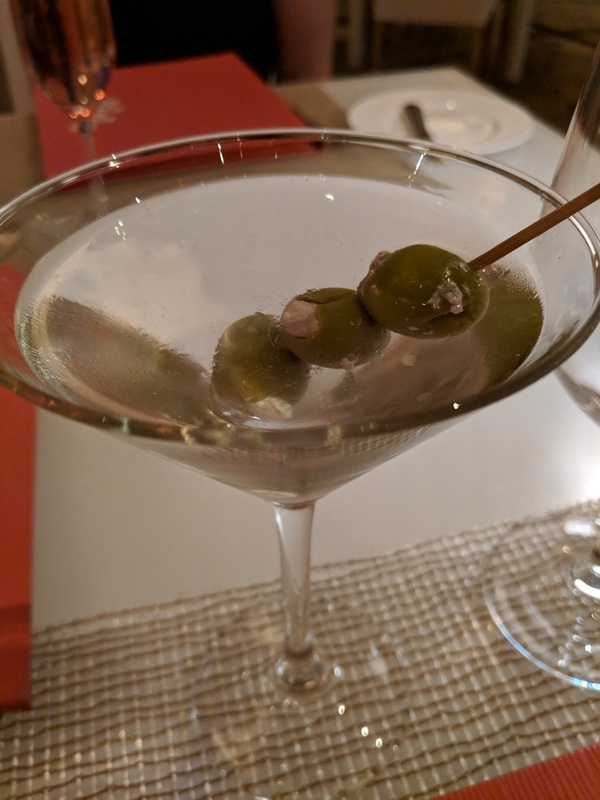 Cocktails to begin, including a very dry martini (Chopin) with blue cheese stuffed olives, and a glass of champagne for me. 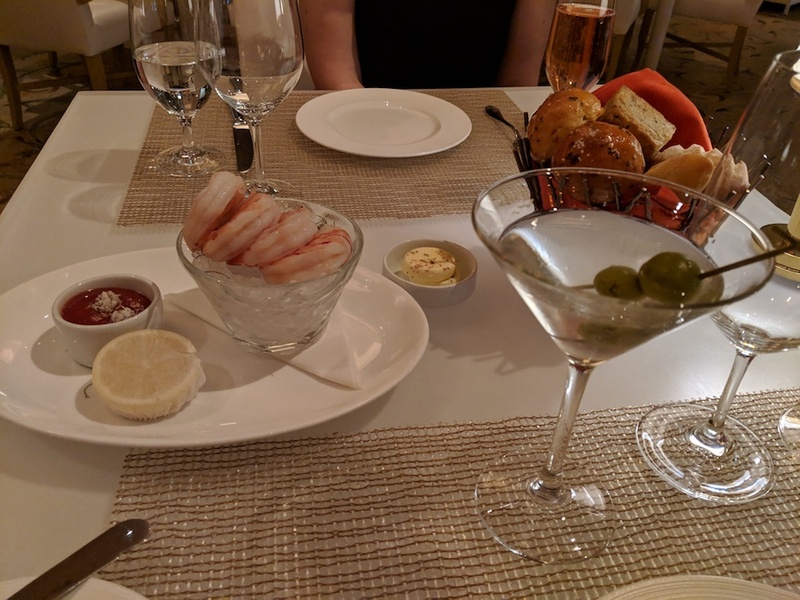 Rather famished from a day of travel, we dove right in with a classic shrimp cocktail and a tasty assortment of breads. 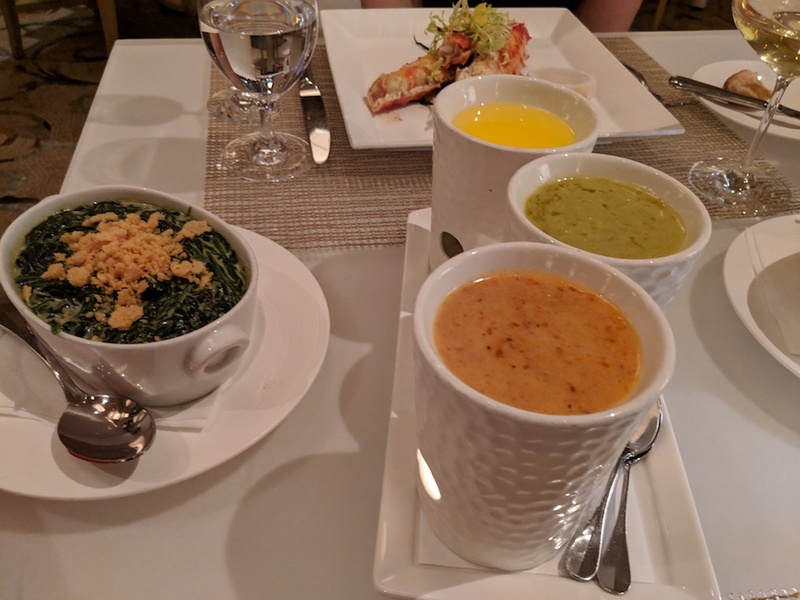 As you’d expect, the menu specializes in seafood featuring king crab, a selection of live lobster from around the world (Maine, Scottish – depending on availability) and other market fresh fish (halibut, salmon), and several Hawaiian specialties. There are the requisite ‘turf’ entrees – a nice selection of steaks and a chicken breast option as well. 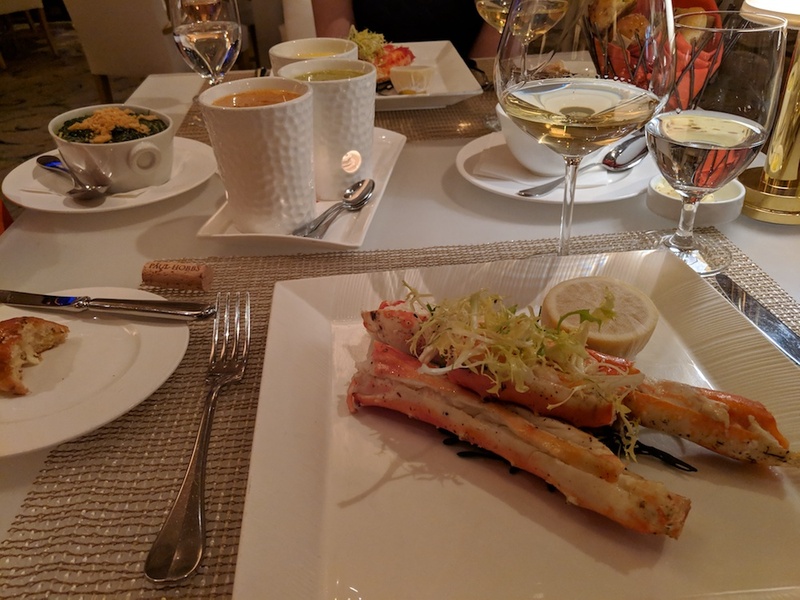 We were definitely there for the seafood and could not get our minds off the idea of oven-roasted Prime Cut King Crab legs. On the advice of our knowledgeable server, we ordered a pound and a half serving to share. Now, we enjoy a hearty meal and were a bit worried this portion might not do it – but this was honestly more than enough. That’s because it was virtually all meat – succulent, tender, sweet crab meat that deserved the term Prime. The platter was served with a selection of three butters for dipping and dunking – classic drawn butter, a fresh and surprising yuzu-basil butter, and finally a spicy harissa butter. They were all phenomenal when paired with the luscious crab legs – really outstanding! 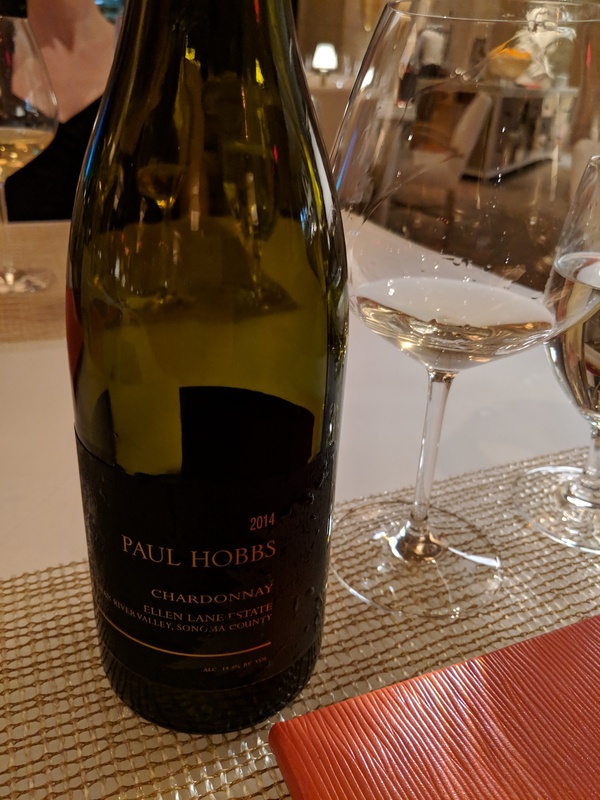 A beautiful golden-hued,lemony-buttery California Chardonnay made the perfect pairing for this delicious meal, the 2014 Paul Hobbs Chardonnay. Sides are served family style. 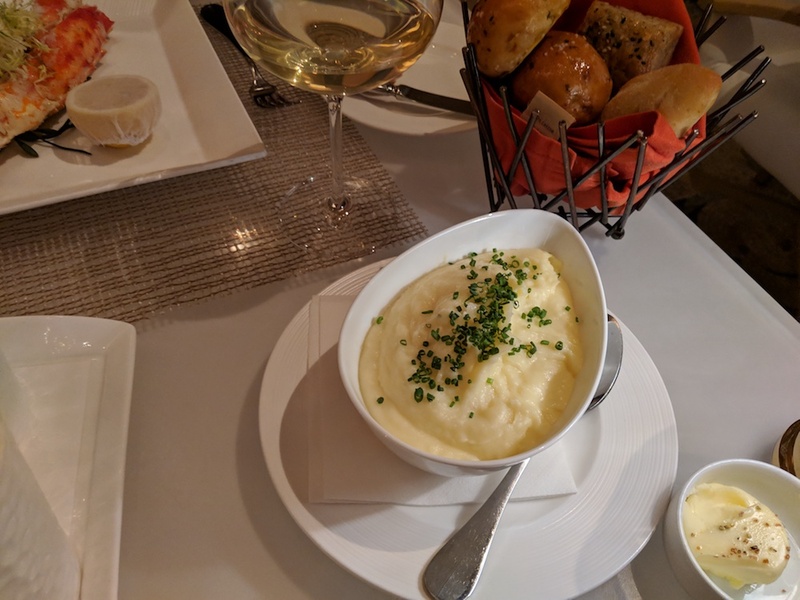 We indulged in rich accompaniments, Yukon Whipped Potatoes and Black Truffle Creamed Spinach (heavenly). Also pictured below are the trio of dipping butters that accompanied the crab. 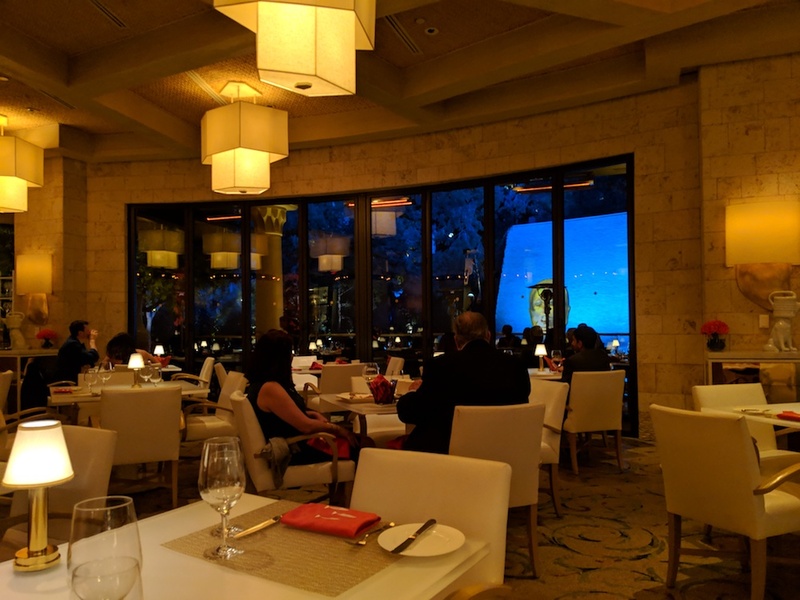 Our dinner at Lakeside Seafood was relaxed, delicious, indulgent, and very memorable. 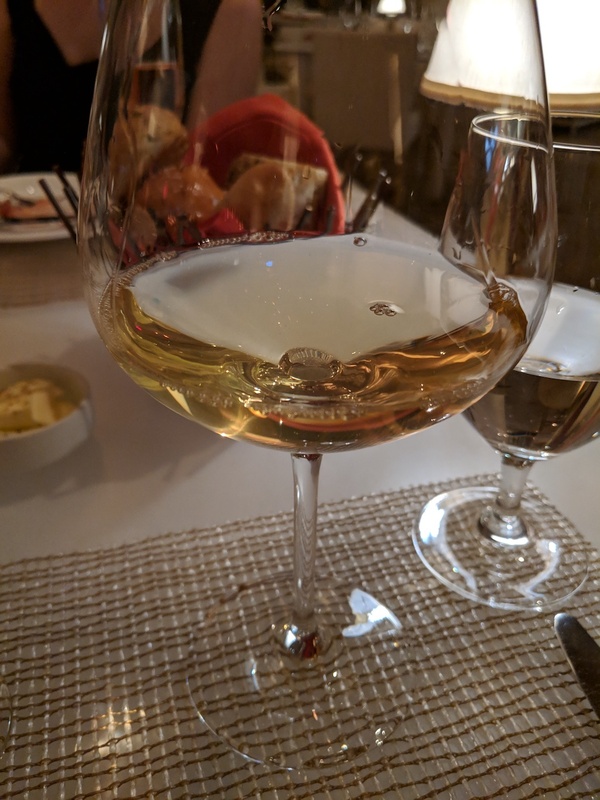 It was the first dinner of our Vegas getaway, and though in some ways the simplest, possibly the best of them all. 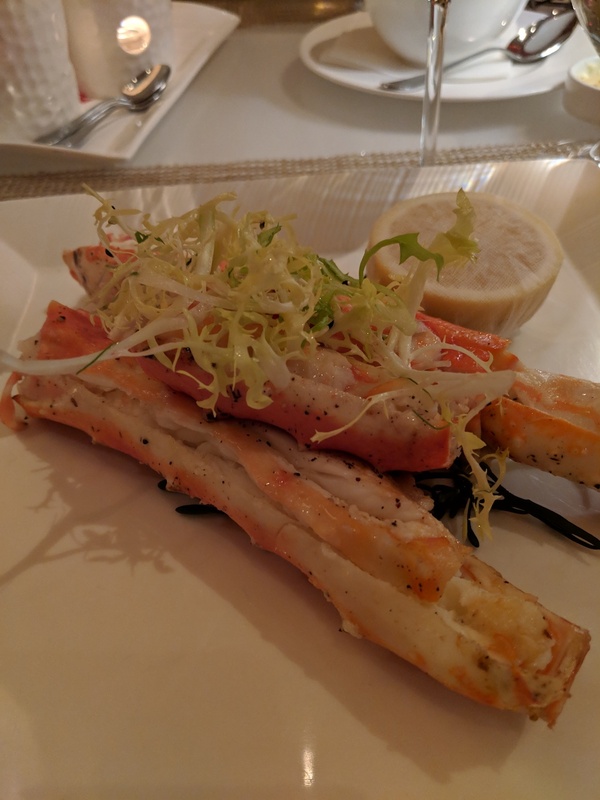 The highlight of course was the absolutely perfect prime cut king crab legs, because where else are you getting that? I highly recommend Lakeside for seafood lovers who find themselves in Vegas.